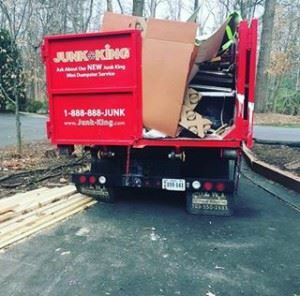 Providing the Monterey area with professional, fast and eco-friendly junk removal services. Junk King is good at solving problems. Their experience will dictate how many crew members and trucks will be needed to clear up just about any type of job. Best of all, you will be paying extra for additional crews or trucks. Your fee will only be based on how much space your junk fills on the back of the truck. It’s all about volume and not weight. The only time the junking crew hesitates is to figure out the best course of action with regard to moving something that’s bulkier heavy. Once they figured out the safest way to get it out of your house they will spring into action and you’ll be amazed at how quickly they clear out all your unwanted clutter. That is the perfect way to sum up a junk removal session with Junk King Monterey. You don’t have to live with your clutter any longer when Junk King Monterey is just a phone call away. This entry was posted in Monterey Junk Removal and tagged Junk King, Junk Removal, reviews on September 26, 2017 by Junk King. Last updated September 26, 2017 .